Shopping for sensory smart toys and equipment for a child with sensory processing issues? Here are some ideas I included in the December 2010 edition of the Sensory Smart News. You don’t have to spend a lot of money. In fact, some of the best toys and products you can purchase are small and inexpensive. Every small child should have a Play-Doh Fun Factory, for example, which sells for under $10. Bubbles with bubble wands, modeling clay or Silly Putty, Wikki Sticks (wax-covered yarn for crafts), puzzles, handheld games such as Simon, and classic games such as Candyland or Kerplunk are excellent inexpensive toys that promote everything from tactile exploration to fine motor and visual memory skills. Buy the classics, and consider classic original versions. There’s a reason certain toys are perennial sellers: Their play value can’t be beat. You may find some of these toys in excellent condition on sites such as eBay and Craig’s List, or even at second-hand stores. Interestingly enough, sometimes the older versions are actually better for our kids because they tend to be sturdier and come without all the annoying chips for sounds and lights that are so distracting. Don’t underestimate how much kids will love Legos and Duplos building blocks, wagons, hand puppets, and so on. Thomas the Tank Engine toys are great for helping children move from cause-and-effect, parallel (independent) play to imaginative, cooperative play. Buy toys that get kids moving. Ask your child’s sensory smart occupational therapist and/or physical therapist what type of movement toys she feels would be appropriate for your child, and ask her if she can work with him on using toys that involve coordination and gross motor skills. You may need to start slowly, such as with a three-wheeled scooter instead of a two-wheeled one, or a very small bike with training wheels rather than a bike that the bike store salesperson says is the correct size for your child (and be sure your child uses a properly fitted helmet). 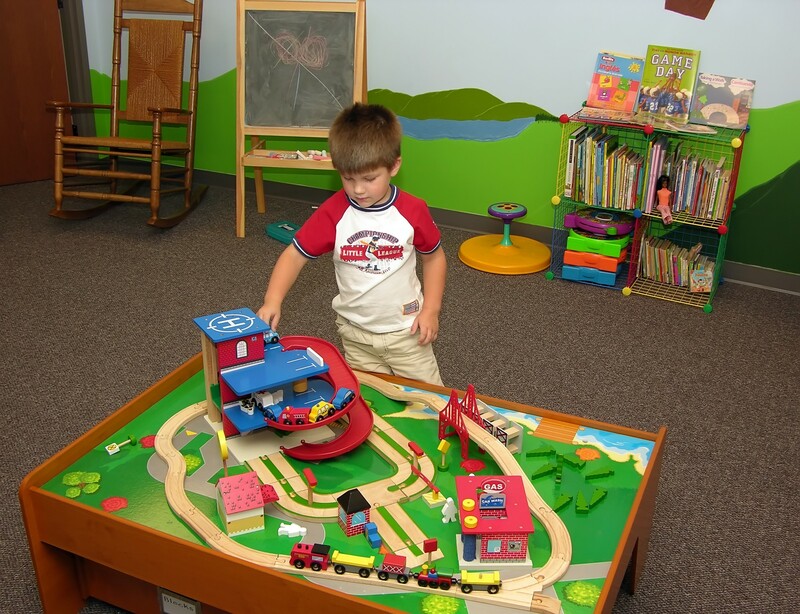 A Sit-n-Spin can be a good choice for learning motor planning skills while getting vestibular input, but a Dizzy Disc for preschoolers or a Dizzy Disc Jr. for older kids an provide that input to a child with poorer motor planning skills. Sleds and mini trampolines (which are safer than full-sized ones) are great options too. Have a ball. Balls can be incredibly helpful for developing a multitude of skills and now many modified balls are available, including ones that are easier to catch or throw or which provide sensory input via a textured surface (Gertie balls, koosh balls) or sounds created by movement (such as the Wiggly Giggly ball). Exercise balls are great for kids to sit on for input and for rolling over them to provide deep pressure: Your OT can show you many ways to use them. Why not keep balls in the yard, in your car, and even your purse so that they’re available for your child to get movement or sensory input at any time? Be cautious about “active” video games. Although some of the newer games, particularly Xbox360 with Kinect which requires that the child use her body as the controller, encourage movement, don’t assume that your child will use them to get the aerobic exercise he needs. Wii Fit offers options that provide very little if any aerobic activity (although the quieter games on Wii Fit can be excellent for balance training which many of our kids need help with). I also has game options that will actually help you child work up a sweat, but observe your child to be sure she’s actually using videogames in a very active way. Then too, if your child has her heart set on Super Smash Brothers or another inactive video game, have her jump on a mini-trampoline while playing to give her exercise as well as build her hand-eye coordination. Choose developmentally appropriate toys. One of the challenges of having a child with sensory issues is accepting that our kids may be far behind their peers in being able to play appropriately with particular toys. Offer your child choices that are in the “just right” challenge zone, which build their skills without being overwhelmingly difficult for them to use. If you’re giving a toy as a gift, think about choosing something that he will actually enjoy. Go ahead and buy the therapy toys he will resist at first, but if you feel he might get immediately frustrated by them, think about having your OT introduce them as part of therapy. Buy books. If your child resists reading, try picture books and visual dictionaries, optical challenge books such as Where’s Waldo?, nonfiction coffee table books on trains, dinosaurs, and the like, pop-up books, scratch-and-sniff books, and so on. If you’re thinking about buying an eReader, note that some children with visual processing issues or vision issues find them much easier to read from than ordinary books due to the adjustable type size, low contrast, and auditory option (available on many books). You can even “gift” an electronic book to a child’s Kindle now and many are very low priced (although selection can be limited). Also consider audio books and mp3 downloads. While you’re shopping, please consider buying some toys for Toys for Tots or other charities, and for your child’s school OT or PT (they may have a wish list or you could give them a gift card for a therapy catalogue or store such as The Learning Center). Finally, remember that what kids want even more than toys is our attention. Playing a simple board game with your child or teaching her how to catch a ball may create one of her fondest childhood memories. NEW WEBSITE AND BLOG: Get new and up-to-date information and support for parents of children and teens with sensory processing disorder at www.SensorySmartParent.com and sign up for the newsletter and blog. I’ve written before about what an important contribution Dads (and Dad-figures) can contribute to our kids by roughhousing with them appropriately. Finally, someone’s actually done research on this! I attribute much of my son’s development of self-regulation and improvement in his sensory issues to my husband working with him daily, roughhousing before bedtime. He also worked with him at the playground, doing activities such as getting him down that slide, getting him to tolerate and enjoy various swings (while stopping the movement at intervals to let it register in the brain, as directed by our marvelous OT, Lindsey Biel), using the monkey bars, doing sand play (OK if the child needs to wash off a lot), water sprinkler play, etc. He had him on a seat on the back of his bike as he rode over cobblestones, and hugged him often (affection and deep pressure–how can you beat it?). On outings, he encouraged our son to push his own stroller, filled with packages if possible, and taught him to push and run at a clip without plowing into other people. Now that our son is older, there’s still a lot of physical play: Sledding, hitting the heavy bag, climbing and hiking, playing stickball. A sensory avoider may well have to be coaxed into such activities but a patient Dad, or other sensory smart adult, may be able to do this. 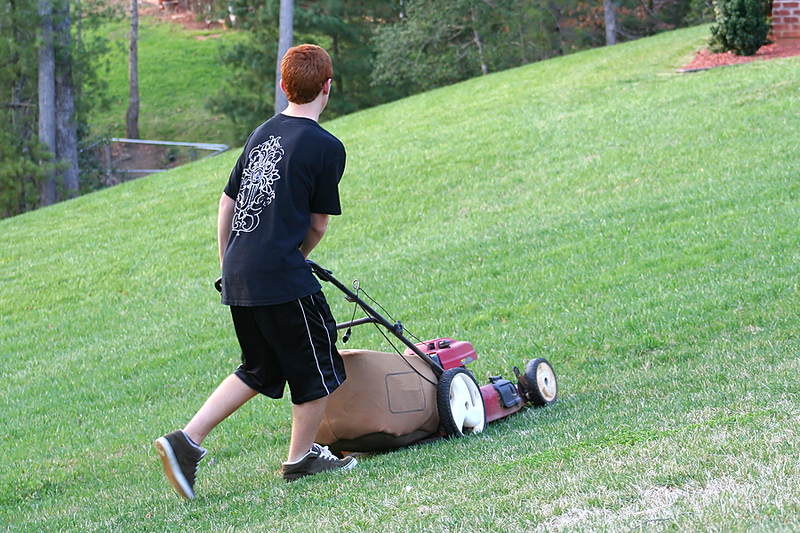 Yes, some kids can go into sensory overload if pushed too far, but an attentive dad can use deep pressure, a quiet and loving voice, and loud/soft games such as having the child vary his drumming on a pillow or exercise ball or dad’s back from quiet and gentle to louder and more intense and back. I love the “steal the socks” game! Here’s to dads on Father’s Day! The really sweet Diane Sawyer report on the research. GIVEAWAY of Raising a Sensory Smart Child! I’m in a giveaway mood! 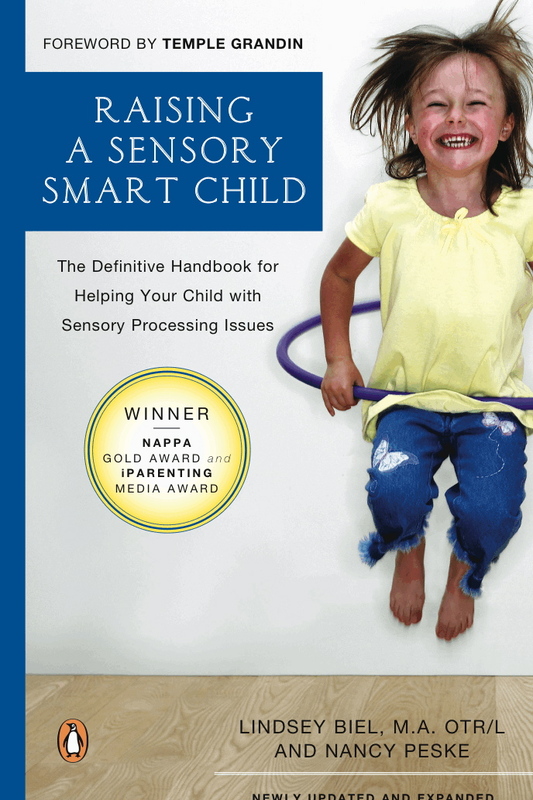 Two random subscribers to Sensory Smart News will each receive a FREE copy of the award-winning book Raising a Sensory Smart Child: The Definitive Handbook for Helping Your Child with Sensory Processing Issues. If you haven’t signed up, go to SensorySmartNews.com and sign up before Dec. 10 when the lucky winners will be chosen! Hurry! Contest ends December 10, 2010! 5) stands there stunned, upset that there really IS something wrong, thrilled that she finally has some answers, confused by what to do next, sad because her illusion that her kid has no problems after all has just been shattered. I always say that first, just take a deep breath and recognize that you are more empowered now than you were yesterday. You have more knowledge, and you’re going to build upon it. Your child is already benefitting from your hard work and diligence in finding answers. If you simply start there, feeling good about what you’ve already done to help your child, the fear starts to dissipate. Know that there is a LOT of support. People can be incredibly generous in sharing ideas, giving feedback, and offering encouragement. If you can, join an in person support group for parents of kids with SPD (try The SPD Foundation’s Parent Connections). If not, join an online support group such as the ones through www.yahoogroups.com (SID_DSI_AllAboutKids, sensoryintegrationgroup, sensoryintegrationdysfunction, and SID_DSI). Heck, do both! There are so many resources out there–don’t get overwhelmed. Learn just a little each day. Poke around my website, sensorysmartparent.com, and check my award-winning book, Raising a Sensory Smart Child: The Definitive Handbook for Helping Your Child with Sensory Processing Issues, coauthored with Lindsey Biel, OTR/L. Don’t feel pressured to become an expert overnight or “inhale” every book on the topic (as I did years ago–talk about information overload!). Focus on what’s most important to you: Your child’s tantrums in public or school? Her picky eating? Bedtime battles? As you start to implement some practical solutions (there’s a HUGE section on them in my book and lots of info on my site as well), you’ll start to realize you really can help your child with her sensory issues. And I promise, it gets much better! For a limited time, Amazon.com is selling slightly damaged copies of Raising a Sensory Smart Child (the revised and updated version) for cheap. If you’d like to pick up a copy for yourself or perhaps for your child’s teacher or caretaker, you might want to act now. I’m told these have “shelf ware” or slightly bent or soiled paperback covers–nothing that would make it difficult to actually read the book. Meanwhile, pristine copies are available too! You might want to pick one up in your local bookstore on the Special Needs parenting shelf. Summer Reading–How About Raising a Sensory Smart Child? I know, I know…on first glance, my book Raising a Sensory Smart Child, coauthored by Lindsey Biel OTR/L with a foreword by Temple Grandin, does NOT look like summer reading. It’s got a lot of pages and a lot of type (although if you page through, you’ll see we really broke it up with lots of headers and bullet points). But it may be the perfect summer reading for you. 1. 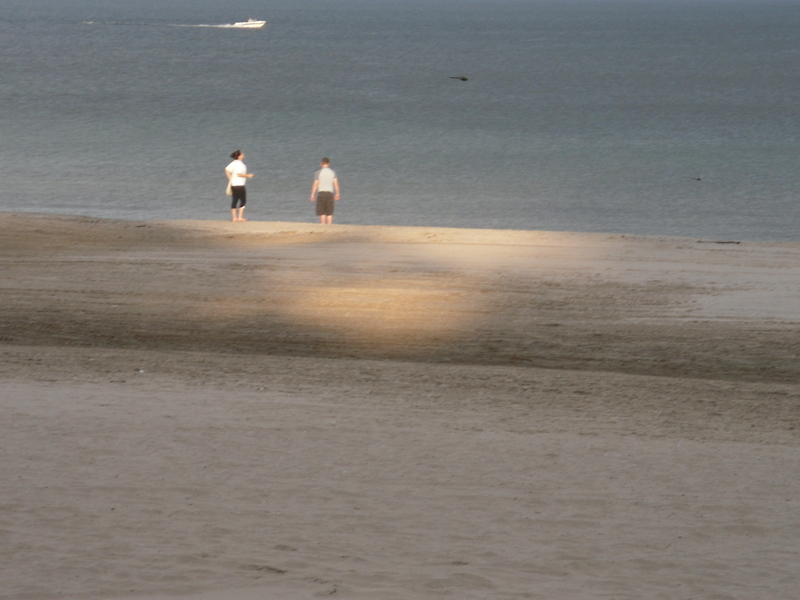 Summer is a time when the pressure is off with you and your child. No homework notices, suspensions, calls from the school about unacceptable behaviors and frustrated explanations by you of the sensory issues underlying those behaviors–you get a few months off from those headaches. What’s more, if you’ve got a simple routine going for your child, he or she may be able to be less dependent and clingy than during the school year. That buys you more time to hunker down and do what you’d like to do for yourself. And I am sure that learning some keys strategies for making your life MUCH easier is on your To Do list. 2. Summer’s a time when you want to read a book that doesn’t demand your full attention. Personally, I struggle to dip in and out of fiction and keep track of all those characters, but a book I can read for 1 minute here, 5 minutes there? Love love love it. That’s what Raising a Sensory Smart Child is. Sure, read the first chapter or two to get an overview (why not read a page at a time every time you go to the bathroom? Seriously–I got through the entire first Harry Potter this way! Stay hydrated this summer, pee a lot, and work your way through those pages!). But then just dip into the Practical Solutions for Everyday Problems chapter anywhere and pick up a few tips. Page through til a header grabs your eye and read a page or so. Check out those bulleted lists. You might be surprised at how easy it is to understand the material in the book even without reading an entire chapter, or reading the book front to back. 3. Do the bibliomancy trick. (Excuse the big words–as a writer, I just love to use an obscure word! Bibliomancy is a way of randomly using a book to find information you need). Close your eyes, open Raising a Sensory Smart Child to a random page, plunk down your index finger, open your eyes, and read what you are pointing to. Does it have meaning for you? Don’t be surprised if it is exactly what you need to read today. Developing sensory smarts doesn’t have to be some big overwhelming project that you mean to get around to and feel guilty about because time has a way of getting away from you. All it requires is learning a little bit, then a little more, then a little more, and applying what you’ve learned. Frankly, it takes time to process it all. You can’t just “inhale” all there is to know about sensory processing disorder and related issues and become an expert overnight (although being prone to anxiety, that’s what I tried to do years ago–the result was a fabulous book and the realization that shoot, it takes time to really “get it”!). I found that even just watching my son play offered the perfect opportunity to relax and begin to muse about what I was learning from my OT and other moms as I was first developing sensory smarts. You have to have time to take it all in, to observe your child, and start finding ways to do just a little better today than you did yesterday. So relax, have a great summer, and dip into Raising a Sensory Smart Child as you would a bag of M&Ms or potato chips–only without the guilt! Summer is a great time to read the revised and expanded Raising a Sensory Smart Child!